31 January 2019: Advanced Battery Concepts, the bipolar lead battery firm, has signed up Crown Battery as the sixth licensee to its GreenSeal bipolar technology, it confirmed on January 23. The deal comes just a few weeks after Bulgarian company Monbat joined Johnson Controls, EnerSys, Exide Industries and Trojan Battery. 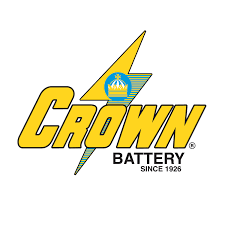 Crown Battery is based in Fremont, Ohio, US, and makes industrial and SLI lead batteries as well as a line of advanced AGM batteries. In April 2017, president and CEO Hal Hawk made an undisclosed investment in the company. “We are excited to increase our level of involvement with Advanced Battery Concepts and to expand Crown Battery’s investment in advanced lead battery manufacturing,” said Hawk. Ed Shaffer, CEO of ABC, said Hawk had long supported ABC and bipolar technology and the agreement showed a strengthening of support for the technology.